As the capital of Yunan Province, Kunming boasts a robust history and mesmerizing scenery, and is an important tourist city in China. 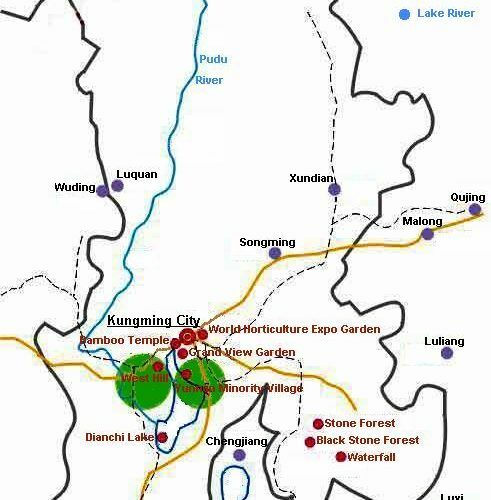 Kunming has much to offer to visitors, from the overwhelming Stone Forest, enchanting West Hill, breathtaking Jiuxiang Scenic Area, impressive Golden Temple, to mysterious Black Dragon Pool, mesmerizing Daguan Park, and enthralling Dianchi Lake. The cuisine in Kunming is quite unique, the Over the Bridge Rice Noodles, Steamed Pot Chicken, Er Kuai (Rice Cake) and Smoked Smelly Bean Curd can’t be missed. 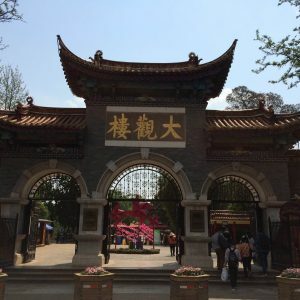 Want to learn more about our affordable China travel packages? Give us a call at (888) 878-1777 or fill out a form to get in touch with one of our agents! 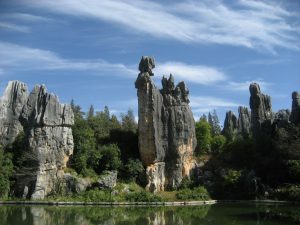 Stone Forest is known as “the greatest world wonder” and “the stone forest museum”, which is a great getaway to explore the jaw-dropping Karst landscape. Dianchi Lake has been called the “pearl on plateau” and has been a favorable scenic spot since ancient times, where visitors would be rewarded with breathtaking scenery. In Kunming, flowers are quite cheap and sold by weight. Bird and Flower Market is a great place to buy diverse fragrant flowers. Wax printing is a traditional skill prevalent among the ethnic minorities in Yunnan province, which features distinctive patterns, simplified style and exquisite designs. Pu’er tea is the most famous among the diverse teas in Yunnan, which is sometimes called “Beauty Tea”. The older the tea is, the more fragrant it is. Therefore, visitors are highly recommended buying some to maintain your good looks. Yunnan is now the world famous distribution center of gems and jewelry in China. Among the dazzling gems and jewelry in Yunnan, jade is highly recommended to send to friends as gifts. Cross Bridge Rice Noodle is well-known in China and no Yunnan trip is complete without tasting it. Pot Steamed Chicken is a well-known dish in Kunming, which is brimming with distinctive Yunnan flavor. Tourists should not miss trying it. Ivory carving in Yunnan is the best-known handicrafts in Yunnan. It is vivid in shapes, sophisticated in skills and delicate in design, which is really a must-have in Yunnan. 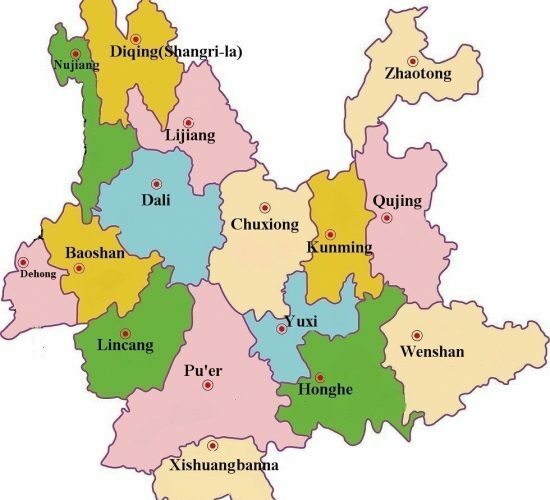 Geographical offers many advantages for the weather in Kunming, which is neither severely cold in winter nor extremely hot in summer. 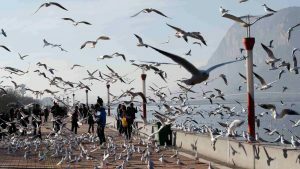 With a mean temperature of 15℃ in a year, the average temperature in the hottest month of a year is around 20℃, and around 7 ℃ in the winter. 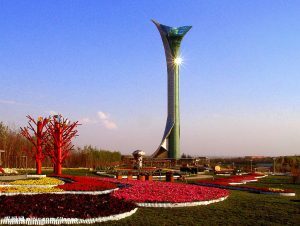 The climate in Kunming is spring-like all year round, which is why the city is sometimes known as “Spring City”. 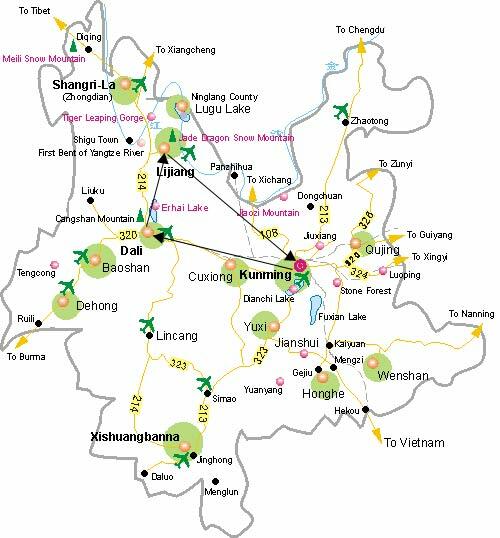 Therefore, it is suitable for touring Kunming all year round; and no matter when you come, Kunming has much to offer. The unbeatable climate of Kunming with breathtaking scenery mesmerizes countless visitors to Kunming all year. 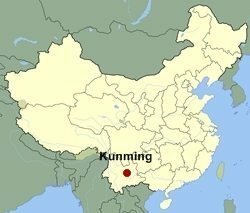 Although Kunming is suitable for traveling all year round, the best time to visit Kunming is from March to October. 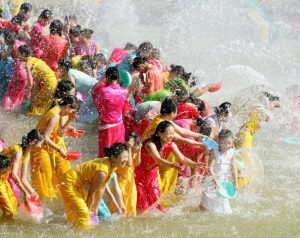 In this time, most festivals are celebrated. 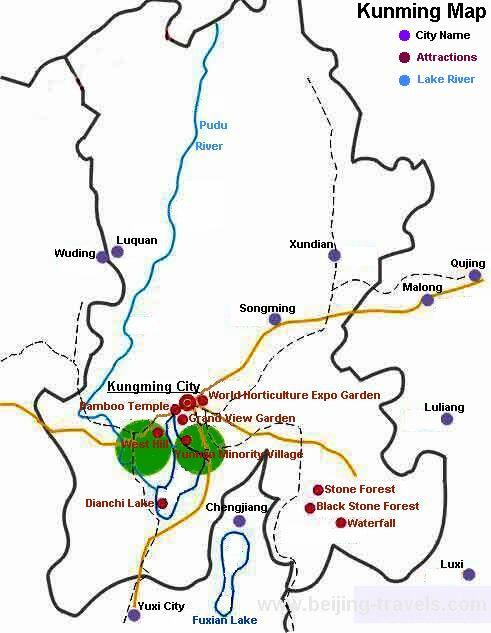 Therefore, visitors would be rewarded more if visiting Kunming during this period. What is more, during March, chances are that visitors could see the snow-capped mountains. 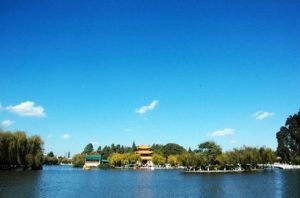 Spend 6 days in Kunming to enjoy the comfortable climate and to appreciate the natural scenery. Also, golf activities are included. You’ll play golf at Kunming Spring City Resort Golf Club. 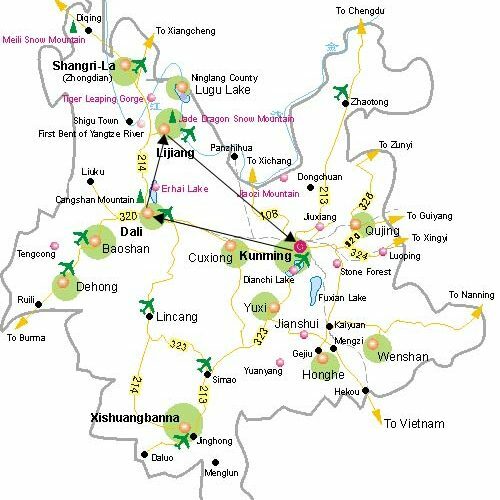 Shangri-La, a sacred scenic region blessed with majestic mountains. Don't miss this trip to visit the Lost Horizon Shangri-La. Join us to discover Yunnan's beauties, especially to experience unique local customs and appreciate the wonderful natural landscapes in Shangri-La. 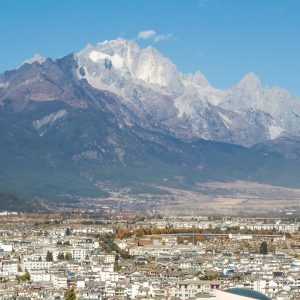 This tour is an excellent opportunity to find out why Yunnan Province has earned the reputation of the “Colorful Yunnan.” Enjoy an unforgettable time while taking this amazing guided tour of Lijiang and Kunming with China Tour! It rains here but suns there, because the weather is different from that in the area a few kilometers away. 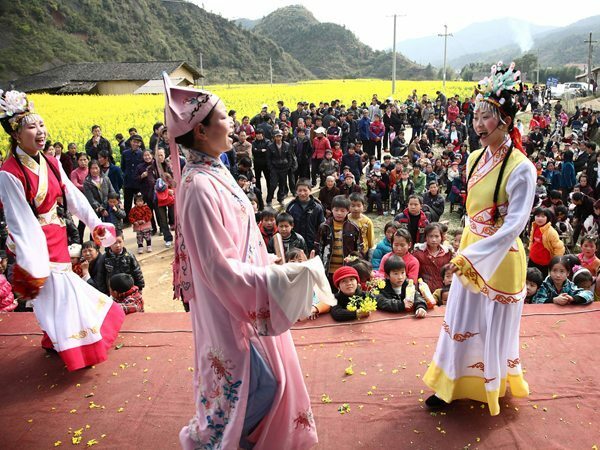 Dian Opera is a kind of local opera in Yunnan Province, which integrates various traditional Chinese operas introduced into Yunan during the reign of the Qianlong Emperor during the Qing Dynasty. 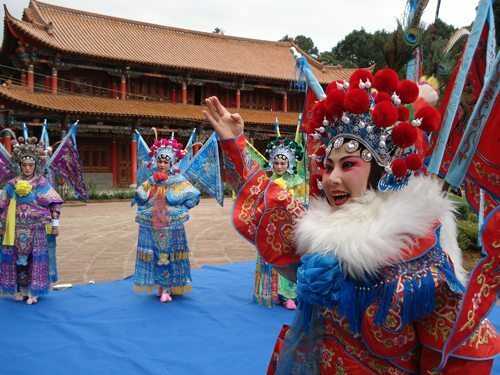 Dian opera exhibits Yunnan features, which was begun in 1821 and is prevalent throughout the Yunnan, Sichuan and Guizhou regions. Dian opera is features exquisite presentation and lively language. Although originating from Shaanxi, Anhui and Han opera, Dian opera differentiates from them after years of developing its own features, which integrates the dialects, local custom and folk songs of Yunnan. The operatic tune of Dian opera is resounding, mellow and cheerful. Dian opera includes three kinds of tunes, namely, Stringed tune, Xiangyang tune and Huqin tune. Instruments for Xiangyang tune and Huqin tune are both dominated by the Chinese violin, while stringed tune utilizes the musical-saw. Apart from those, there are also other instruments accompanied, such as Erhu, Suona horn, flute and the like. During the reign of Guangxu during the Qing Dynasty, Dian opera was widely spread among counties of Yunnan province. By the time of the Republic of China, it had pervaded the whole province. After the People’s Republic of China was founded, Dian opera had created many plays reflecting daily life of such the Bai, Dai, and Hani people of China, which are highly regarded by the public. Special attention is paid to singing, dancing and rhythm in Dian opera. Kunming tune is a kind of folk singing. 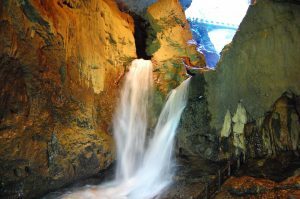 It has many forms such as folk song, ditty and ballads, which is prevalent in the suburb of Kunming City. No make-up is required for Kunming Tune. 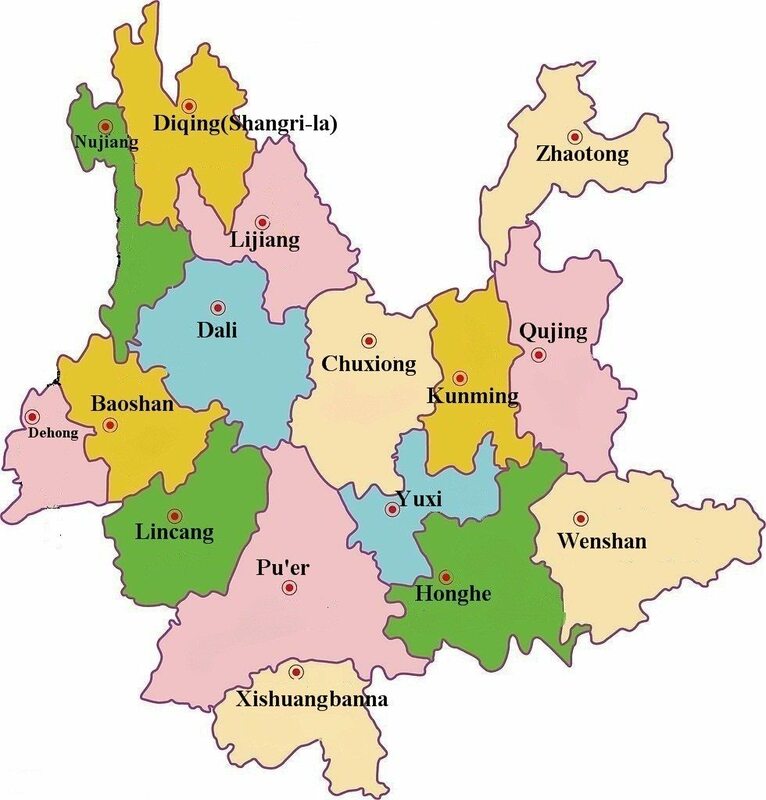 Kunming is a multi-ethnic city inhabited with different ethnic minorities who have different singing styles. The Tune of the Han people in Yunnan has diverse forms. Forms of Han tune generally include solo, duet and antiphony singing between men and women, each of which are sung while working in the field. The theme of the tune is mainly focused on wisdom, love and extolling the nation. 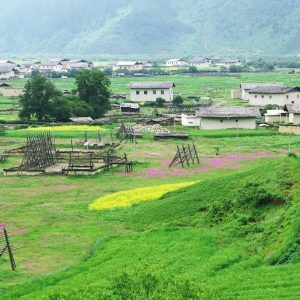 To the Sani people, a branch of the Yi minority, the tune is usually sung regarding festivals, social relations, love, as well as working. After People’s Republic of China was founded, the tunes of Yunnan were further developed, which is typically accompanied by musical instruments. 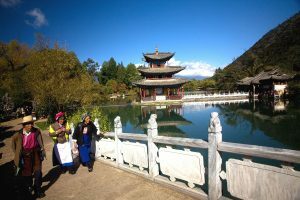 The most well-known Yunnan tunes in China include “Singing Folk Songs”, “Horse Driving Tunes”, “Rippling Brook”, and “Flooding Rivers” and others. Wax printing is a traditional skill prevalent among the ethnic minorities in Yunnan province. The procedure for wax printing is quite sophisticated. Dip the knife into the melted wax and draw delicate patterns on a piece of white cloth, then dye the cloth blue. After the cloth is dyed, take the wax away, and the exquisite patterns drawn before are revealed clearly on the cloth. Moreover, the wax layer cracks naturally while being dyed, which creates the special ripples on the cloth, making the patterns more vivid and life-like. 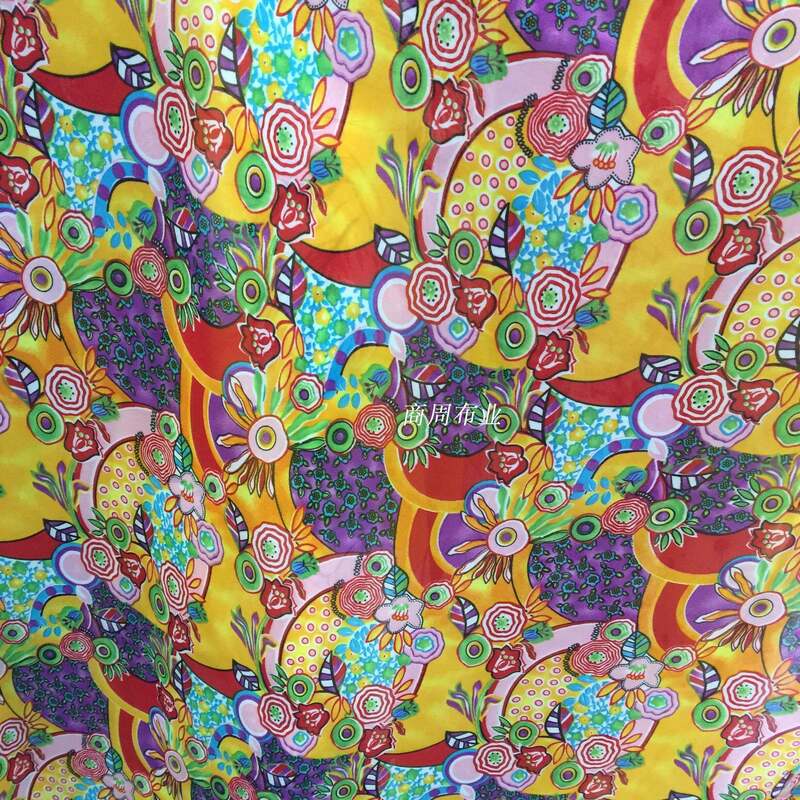 With its unequaled features, varied patterns, elegant colors and unique style, wax printing is widely applied in cloth-production. Wax printing is prevalent in Yunnan, particularly among the Miao and Bai ethnic minorities. The Miao People possess unparalleled weaving skills passed down from generation to generation. Cloth made by the Miao People is tender, tightly-woven, high-quality and durable, which has enjoyed a great reputation over the centuries. With unbeatable weaving skill, the wax-printed works of the Miao people are marvelous and enchanting. Wax printing in Yunnan usually takes local scenery and folk custom as its main material, in which such patterns as peacocks, elephants, camellias and cuckoos are often applied. Wax printing in Yunnan, as a folk art, has become a tourist souvenir and export commodity, which contributes a lot to the development of Yunnan economy. Kunming cuisine is also known as Dian cuisine (Dian is the abbreviation of Yunnan province), which integrates the cooking style of other cities, and is brimming with the distinctive local flavor of Yunnan province. It is generally agreed that Kunming food is less peppery than that of Guizhou and less spicy than that of Sichuan cooking. To those who prefer light-flavored dishes, Kunming food is a bit more peppery, while not spicy enough for those in Sichuan and Hunan province. It is its distinguished taste that makes Kunming food more nationally recognized. Yunnan has much to offer gastronomists, Cross Bridge Rice Noodle, Pot Steamed Chicken, and Bitter Duck, to name but a few. As a dish unique to Yunnan, Cross Bridge Rice Noodle is well-known in China and no Yunnan trip is complete without trying it. Cross Bridge Rice Noodle is composed of three essential ingredients: namely, chicken soup, shredded meat and vegetables, and rice noodles. 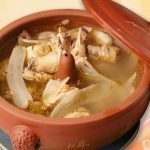 Each bowl of chicken soup is no less than 600 grams. The shredded meat is diverse, which mainly covers scallop, sliced chicken and fish. Seasoned with chives, mung bean sprouts, caraway and leek, the rice noodle is quite appetizing. Apart from Cross Bridge Rice Noodle, rice noodle can be cooked in other ways, such as marinated rice noodle and casserole-cooked rice noodles and more. Each of them enjoys its own flavor and visitors should try to taste them one by one. 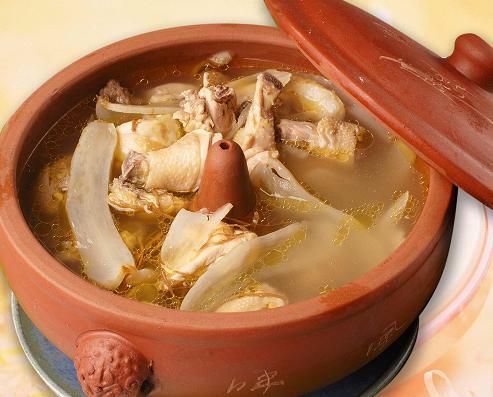 Pot Steamed Chicken is a nutritious dish full of distinctive Yunnan flavor. To make pot steamed chicken, several items are needed. First put pseudo-ginseng into the belly of the chicken and then put the shredded chicken into a boiler. Season the chicken with ginger, a shallot, pepper and salt in the pot, and then interlock the pot into a casserole. Then steam the chicken with for three or four hours. When the dish is prepared, the flavor of the chicken soup is strong. Since it is steamed in casserole, the original flavor of chicken is maintained. 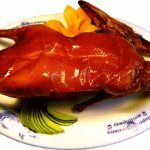 Yiliang Roasted Duck enjoys a history of more than 600 years, whose reputation compares with that of Peking Duck. The little duck is featured with fresh meat and a savory taste, while the fat duck is tough but savory. Accompanied with shallot, pepper and sauce, Yiliang Roasted Duck is mouth-watering and appetizing. 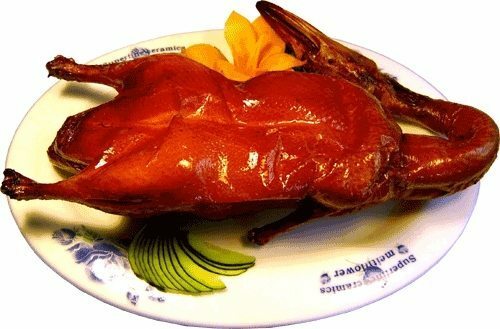 Many places are available for tasting Yiliang Roasted Duck, among which the Goujie Roasted Duck is the most famous. 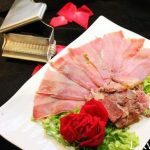 Xuanwu Ham, also referred as Yuntui and Yunnan Ham, is one of the three most famous hams in China. 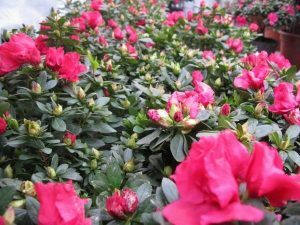 It enjoys a great reputation in the world and is well-reviewed by customers within China and from abroad. It features a delicate shape, strong flavor, fresh meat, and high quality. 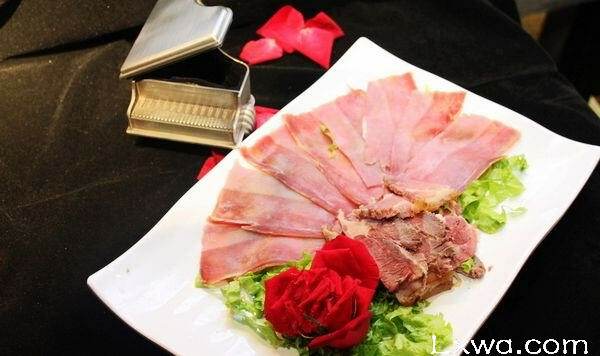 Seasoned with other ingredients, Xuanwu ham could be kept for a long period. 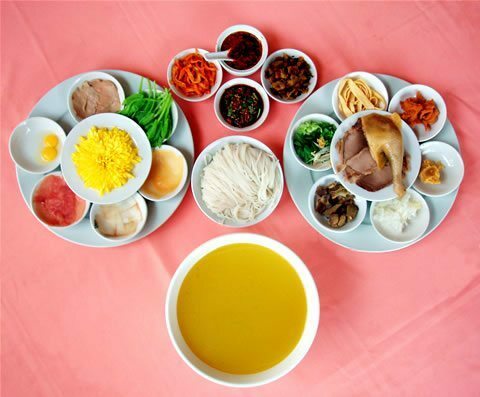 As the main ingredients of Yunnan cuisine, Xuanwu ham is offered in many local restaurants. 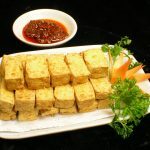 Fermented tofu is a popular traditional specialty in Yunnan province. 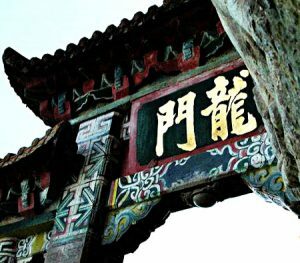 Among numerous ones, fermented tofu in Chenggong County Yunnan is the most famous, which enjoys time-honored history. 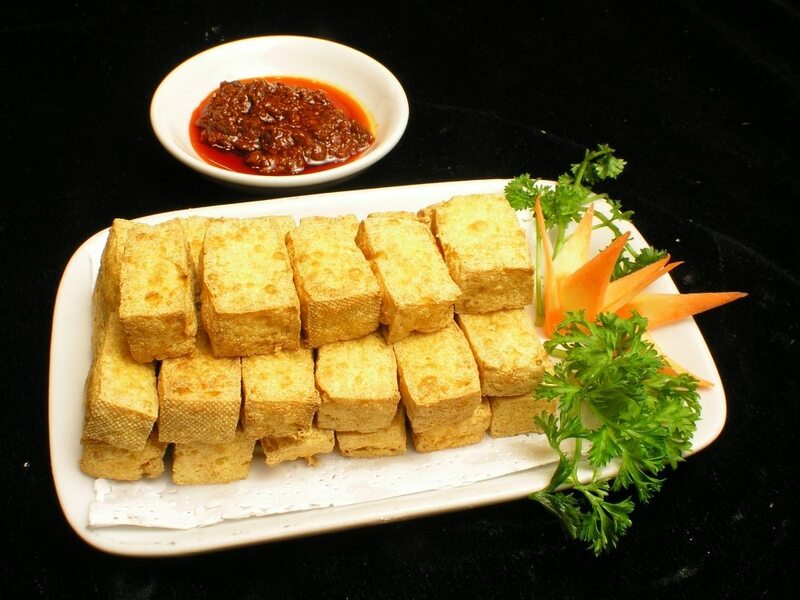 Dated back to the Kangxi reign of Qing dynasty, fermented tofu in Chenggong was invented by Wangzhong, a villager in Qibuchang Village of Chenggong. Kangxi spoke highly of fermented tofu in Chenggong after tasting it and authorized it the relish of royal food. The Fabulous Feast Restaurant is characterized by its unique architectures of Ming and Qing style, which is high of historical and cultural value. It is a great getaway for visitors to explore the culture of Yunnan cuisine. 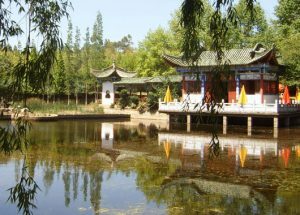 Facing the enchanting Cuihu Lake, Fabulous Feast Restaurant enjoys unbeatable location. Guests could view the enticing scenery of Cuihu Lake while tasting the authentic Yunnan dishes in the restaurant. 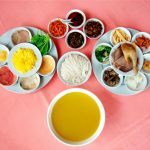 The Pleasant Restaurant is specialized in home-made Yunnan dishes, which is home to the private-cooked dishes of rich families in Ming and Qing dynasties, healthy, nutritious and palatable. The restaurant, three-storied, is perched in the ancient houses built in Qing Dynasty, which used to be the residence of the prestigious commander Cai’E. In the restaurant, the elegant Guzheng performance would be offered while enjoying palatable dishes. How pleasant it is! Built in 1906, the Cross Bridge Noodle Restaurant enjoys time-honored history, which is well-reviewed restaurant specializing in Yunnan Cuisine. The Cross Bridge Rice Noodle, a mouth-watering snack in Yunnan, prepared in the restaurant is the most authentic, which captures numerous patrons home and abroad to have a taste. Brimming with local flavor, the diversified dishes offered in this restaurant are particular about fine ingredient and sophisticated cooking-technics, which is favored by customers greatly. How to get there: take buses No. 129, No. 84 and No. 71 to get there. Located in the center of Kunming City, the auspicious cloud food street is home to various mouth-watering snacks in Yunnan province, such as cross bridge rice noodles, pot-cooked rice noodles, Chenggong fermented tofu and Yiliang roasted duck and the like. Apart from the traditional ones, some new snacks are also available on the street, such as snacks from Taiwan and other Asian countries. With authentic flavor and various choices, food on the auspicious clouds street captivates countless tourists each year.